The mystery isn’t who. But why. Status: Out on DVD & Blu-Ray. Brad (Michael Shannon) has committed murder and barricaded himself inside his house. With the help of his friends and neighbours, the cops piece together the strange tale of how this nice young man arrived at such a dark place… Based on a true story, this gripping and unnerving blend of deadpan comedy, melodrama and raw tragedy is fleshed out by an expert cast. Chloë Sevigny portrays Ingrid, Brad’s girlfriend and one of his few remaining connections to the “normal” world. • Chloë Sevigny and Grace Zabriskie also appeared together on HBO’s Big Love. • Although the film was generally advertised as a Werner Herzog-David Lynch collaboration, Lynch was in fact only an executive producer and did not actively participate in the making of the film. According to Chloë, he was never seen on set (Tokion, 2009). • In addition to locations in Los Angeles and San Diego, California, scenes in My Son, My Son, What Have Ye Done were also shot in Peru, Mexico and China. The main location for the shoot was a real home in Point Loma, San Diego. Although this was near Mark Yavorsky’s home, director Herzog says this was only a coincidence and a financial decision. Herzog had also originally set the rafting trip scene at the Braldu River in the western Himalayas, where Yavorsky had had his life-changing experience as well, but for safety reasons did not wish to film in Northern Pakistan. 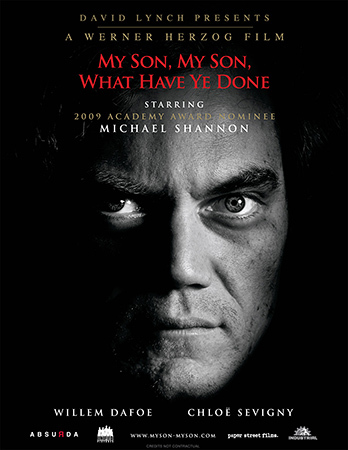 Reviews on My Son, My Son, What Have Ye Done were mixed upon the film’s 2009 release and the film went largely unnoticed by the larger audiences. While Michael Shannon’s haunting lead was generally praised by the critics, the overall mystery surrounding his character and decisions were — by constrast — a frequent source of exasperation. My Son, My Son, What Have Ye Done has received 2 award nominations. When I’m asked what my favorite movie by Chloë is, I feel I’m often expected to say Boys Don’t Cry. But while Boys Don’t Cry *is* very good — excellent, in some respects — it isn’t my favorite Chloë movie. 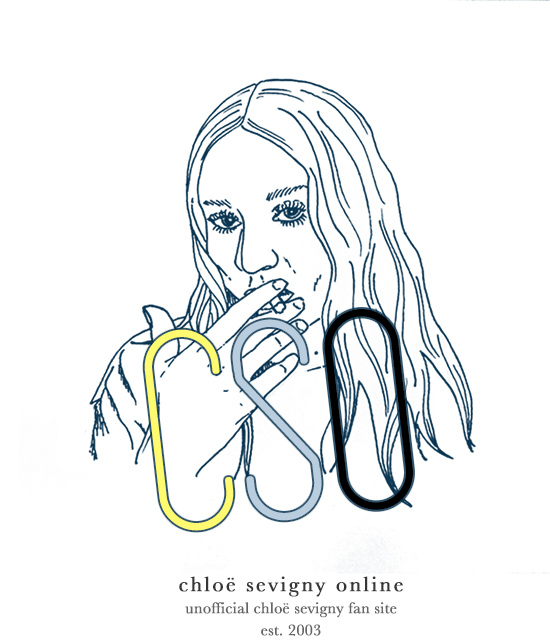 Nor is my favorite movie Larry Clark’s Kids, the cult classic featuring Chloë’s widely beloved breakout performance from 1995 — frankly, I’ve never quite gotten into Harmony Korine’s brand of voyeurism under the pretense of “realism”. I like my movies fictional. I like movies have a journey that begins from one point and ends at another. Movies with storytelling that carries you forward, not seemingly incidental scenes from a character’s life woven into a movie merely by way of a common theme (I’m looking at you, Harmony >.>). I don’t particularly yearn for realism. Rather I yearn for movies that don’t need to rely on shock effect to maintain interest (still looking at you, Korine >.>). And one of the best and most interesting movies to come in this direction in the 21st century is Werner Herzog’s My Son, My Son, What Have Ye Done. That isn’t to say that My Son, My Son doesn’t have its problems. It is long-winded, running around in circles rather than coming straight to a point. It perplexes and baffles, sometimes to the point that you begin to wonder why you even care. Yet contrary to many other films, at no point does this maddening non-communication of answers and conclusions feel unintended. The movie wants to be mysterious, wants to be eerie, wants to be bewildering to the point of exhaustion. You as a viewer are not meant to fully understand the motivations of Michael Shannon’s Brad, the same way you could never fully understand the mental workings of a unstable person in real life. All you can do is watch and wonder. The undisputed star of the film is Michael Shannon, however Chloë Sevigny, too, pulls out a terrific supporting performance as Brad’s girlfriend Ingrid, who is the only figure of normalcy in Brad’s life. She is also the one character the audience relates to as it watches Brad’s descent into madness. Ingrid perfectly mirrors the viewer as she tries to follow Brad on his journey, but struggles to really understand him. Willem Dafoe remains by contrast rather underused as Detective Havenhurst, but delivers a solid performance nonetheless despite the limits of the character. Below are some My Son, My Son, What Have Ye Done-related links that may be of interest to you.